Should I Get Redundancy Insurance? We are living through very uncertain economic times. Few of us can be sure that we will still have the job we have now in a year's time. While government unemployment benefits will normally help, benefit levels are low and they may well not be enough for you to cover all your bills should you lose your job. 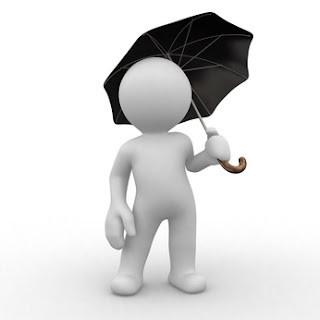 There are many good reasons to top up your help with private insurance. If you have a mortgage, then getting unemployment insurance is certainly a good idea. The government will now pay your mortgage interest for a period of up to two years, but they will only pay the interest: you can't get any help towards paying of the capital. You can also only start to claim after 13 weeks of unemployment, by which time you could have got into significant arrears. Not all unemployment insurance will pay towards your mortgage though, so make sure you're taking out a policy that will. If the worst does happen and you are made redundant, then at least you will be able to keep a secure roof over your head. The benefits are designed to give claimants only the minimum amount of money they need to feed and clothe themselves and pay basic bills. That means that if you have any debt, even just a small amount of credit card debt, you won't be able to service it if you have to rely on benefits alone for a period of time. That could send you quickly into a spiral of debt that may be hard to get out of, even once you are back in employment. So, if you have unemployment insurance, you should have the extra income that you need to prevent you defaulting on your payments. Another good reason to consider getting unemployment insurance is if you have a family to support. While you will, of course, get extra help for your children from the government, you may well find that it is not enough for you to be able to provide everything they need. Every parent wants to be able to provide their children with extras like school trips, new clothes and toys, but government benefits alone may not be enough to allow you to do those things. If you take out unemployment insurance, then you should be able to cushion to the blow of your redundancy for your kids. Taking out any kind of insurance is a gamble - you might find that you never use it, after all. And as we live in a society where there is help, you might decide that it's not necessary for you. If you are single, with no dependents or debts, then you may decide that you don't need it. However, for most people, it can be the difference between really struggling if you become unemployed, and being able to maintain your home and keep a reasonable lifestyle. It can also mean that it's easier for you to find a new job, giving you extra money to fund job-hunting essentials such as internet access.